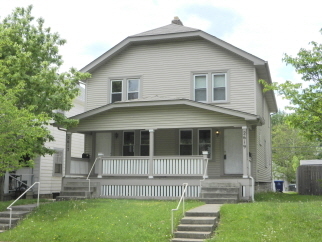 Clintonville area double with updates throughout! 3 bedrooms, 1 bath per side. Beautiful hardwood floors, central air, w/d hookups, kitchen/bathrooms updated on both sides, appliances included, off-street parking. Close to Glen Echo Ravine. Live in one side and choose your tenant for the other or take advantage of the hot rental market and rent out both sides!